Likes bright indirect light but no exposure to direct sun. Water when soil feels dry to the touch and provide good drainage. Use warm or room temp water - cold water could cause spotting on foliage. 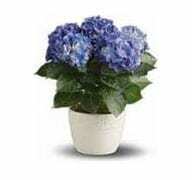 Fertilize regularly with violet fertilizer. 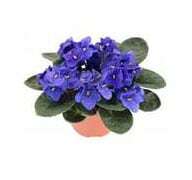 Re-blooming tips for an African violet may include moving the plant to a brighter spot or using florescent lighting, fertilize to bloom or repotting it may give it a boost to flower. Check for suckers (baby plants growing off mother) Removing suckers will help mother plant bloom. Likes bright indirect light when in bloom (3-4 weeks) Morning or late day indirect light is best when out of bloom. Water regularly to keep soil moist. Do not let soil dry out. 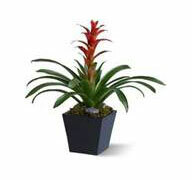 Fertilize twice a year with fertilizer designed for an acid-loving plant. Re-blooming tips for Azaleas may include locating the plant in a temporary winter location with low light and cool temps. When flower buds appear place back in normal sunlit exposure. Keep soil moist during this interval. Water moderately. Let the soil surface dry out between waterings. Fertilize regularly with an all-purpose fertilizer. Snip off any blooms that withered or fallen into the pot. 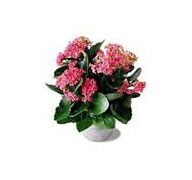 This will encourage new flowers to bloom faster and last longer. 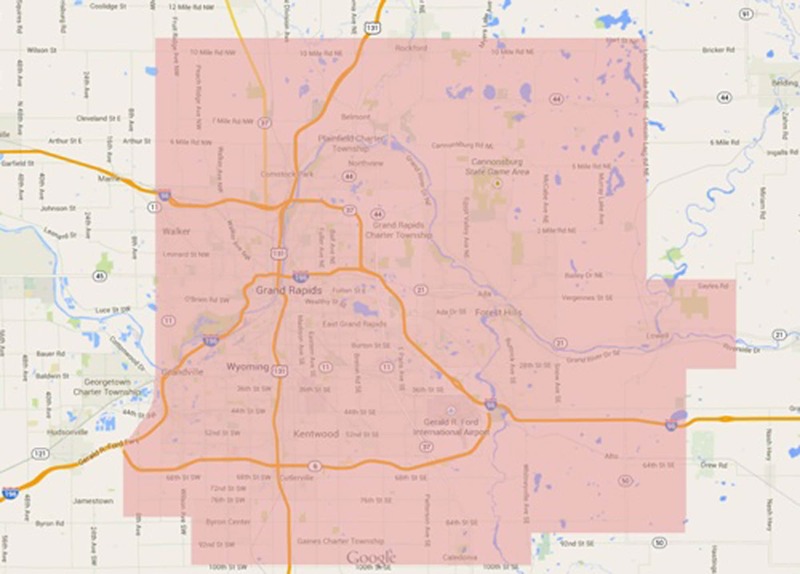 Water (approximately ¼ cup) once a week keeping soil evenly moist but not standing in water. Fertilize with water every few weeks. 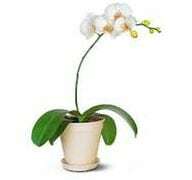 Re- blooming tips for Orchids: After the last flower drops cut your flower spike halfway down the stem. After cutting with clean knife seal cut with candle wax or cinnamon powder to prevent bacterial infection. Continue to care for orchid normally and it should re-bloom. Likes at least 4 hours of bright indirect light every day. Water regularly keeping soil consistently moist but not wet while plant is growing and flowering. Use lime-free water because lime will make soil alkaline. Keep soil barely moist in winter. Fertilize every two weeks with a balanced liquid fertilizer. To keep the blue colors add sulfur while the plant is blooming. Re-blooming tips: Repot after flowering and cut the stems back by half. Keep the plant cool during the winter then move to warmer conditions in late winter to help it into bloom. Likes bright indirect light and no direct sun. Water generously when soil feels dry to the touch. Provide good drainage for the water and do not allow plant to stand in water. Fertilize with a green plant fertilizer following the manufacturer’s directions. Likes medium to low indirect sunlight. 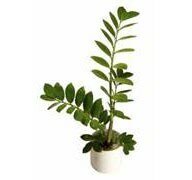 These ferns are often grown for their crinkly leaves and the light they receive will affect how crinkled the leaves are. 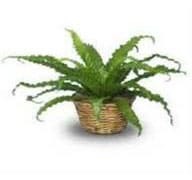 A bird’s nest fern that receives more light will have more crinkled leaves, while one that receives less light will have flatter leaves. Water regularly keeping soil consistently moist but not wet. 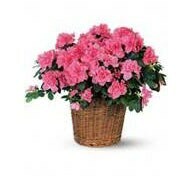 Fertilize plant 2-3 times a year with a green plant fertilizer. Be careful to not over fertilize as too much fertilizer will deformed leaves with brown or yellow spots or edges. Likes medium to low indirect sunlight. Water when soil is very dry. Likes bright indirect light. Watch leaves for indications that the light level is correct. If exposed to direct sunlight some species will scorch however many will thrive outdoors in the summer. 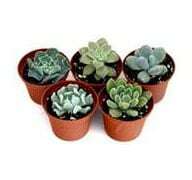 Succulents prefer warmer temperatures. Water consistently watching leaves for indications for overwatering and under watering. Overwatered plants will be soft and discolored. Under watered plants will drop leaves and will develop brown spots of leaves. Fertilize at half strength during the summer growing season but not in the winter. Likes bright sunny locations but not direct sun. Too much direct sunlight could cause damage to leaves. Water moderately, but do not over water or allow plant to stand in water. Fertilizing is not required in the home.